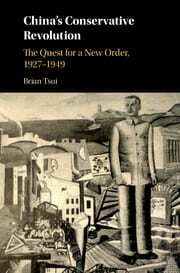 Brian Tsui, China’s Conservative Revolution: The Quest for a New Order, 1927-1949 (New York: Cambridge University Press, 2018). 304 pp. ISBN: 9781107196230 (Hardback). While many scholars have observed over the past few decades a resurgence of nationalism in the post-Cold War era, political commentaries warning of an imminent return to fascism have also proliferated in recent years as right-wing populism unsettles liberal democracies. Contemporary inquiries into fascism have certainly extended beyond liberal states to also scrutinize authoritarian ones, including China, which are no less entangled in the crises, restructuring, and social dislocation of the capitalist world system that incite desires to protect an imagined way of life. The Chinese Communist Party (CCP) is, of course, very much invested in memorializing its historic resistance to fascism, for instance, during anniversaries of the “Victory of the Chinese People’s Resistance against Japanese Aggression and World’s Anti-fascist War.” Present-day xenophobia and trade protectionism in the US and elsewhere also provide the conditions for Chinese leaders to take on the cosmopolitan appearance of “going out” and maintaining the global order of free trade. Yet, for all of the Chinese state’s ability to externalize the potentiality of fascism, whether by reference to the socialist past or capitalist present, certain developments in contemporary China suggest the presence of right-wing orientations to the nation and race, the state and territoriality, the role of technology, and political dissent. In particular, the reappearance of a discourse of national revival (民族復興) alongside flagrant examples of Han racism toward ethnic minorities and foreigners, the continuous narration of past humiliation that obscures contemporary power asymmetries, the ongoing Han settlement of non-Han regions and island-building in the South China Sea, the joining of censorship with biometric surveillance, the crackdown on labor and feminist activism, and the establishment of internment camps in Xinjiang all make the time ripe for reconsidering the history of right-wing thought and politics in modern China. Two recent publications, Maggie Clinton’s Revolutionary Nativism: Fascism and Culture in China, 1925-1937 (2017) and Brian Tsui’s China’s Conservative Revolution: The Quest for a New Order, 1927-1949 (2018), revisit the long-running debate over whether Nationalist rule in the Republican era can be deemed fascist. Building on previous scholarship of Guomindang (GMD) ideology, these studies delve into the ways that major right-wing leaders, such as Dai Jitao 戴季陶, Chen Lifu 陳立夫, and He Zhonghan 賀衷寒, guided the regime’s efforts in cultural production, mass mobilization, and diplomacy, and answer in the affirmative. In particular, Clinton examines the forays of the Blue Shirts and CC Clique into mass media as evidence of what she calls Cultural Revolution from the right. She shows that these right-wing groups comprising military men and engineers took an active interest in the cultural realm, producing works characterized by an embrace of modernism, a call for violence against political enemies, and an attempt to reconcile a Confucian past with a state-led industrial future. Tsui recounts the story of a conservative revolution inaugurated by the April 12, 1927 coup that purged the Communists and labor activists from the ranks of the GMD. He attends to the ideological labor underlying this sharp rightward shift of the GMD, and how the regime went on to organize mass movements and forge alliances with Chinese liberals and Indian nationalists. The books can be seen as in dialogue with one another, drawing on and expanding each other’s observations on right-wing ideology and aesthetics, though also finding inspiration in other studies of fascism, modernism, and everyday life within and outside of the China field. For Clinton and Tsui, fascism was a political worldview shared globally by right-wing movements that sought an alternative to both liberalism and communism in the interwar period. Such a global historical perspective allows them to go beyond social scientific frameworks, which, in spite of sources indicating self-identification with fascism, dismissed the significance of right-wing desires and initiatives in China by considering them to be derivative of Italian and German ideal types and only superficial in resemblance because of the weakness of the GMD state. While acknowledging the limits of GMD state power, Clinton and Tsui demonstrate how the radical right in China was in conversation not only with Italy and Germany but also, in response to the historical reality of imperialism, with anti-colonial struggles for sovereignty that emphasized the need to reclaim and defend domestic traditions. For Clinton, “anticolonial nationalism [was] as potentially as susceptible to fascist radicalization as their metropolitan counterparts” (Clinton 2017: 4). In addition, Tsui asserts that the historical convergence of capitalist and territorial logics in modern colonial empires presented Chinese rightists, and others, with a choice between joining the capitalist interstate system or challenging the premises of property and imperialist hegemony (Tsui 2018: 6). As suggested by the titles of their books, the authors conceptualize fascism as simultaneously revolutionary and counterrevolutionary in aspiration. In doing so, they move beyond interpretations of GMD rightists as conservatives nostalgic for the past or totalitarians akin to communists. Chinese fascists certainly shared with conservatives a profound anxiety over social transformations set into motion by the New Culture and May Fourth movements. Their defense of Confucianism from iconoclasts, in particular, was animated by the conviction that imperialists were already forcibly dispossessing China of its heritage (Clinton 2017: 70, 83). At the same time, however, right-wing leaders distanced themselves from the conservatives, whom they accused of elitism and feudalism, to speak in the name of the masses and orient the work of national revival toward the future, not the past (5, 67). In Brian Tsui’s words, “conservative revolutionaries appealed to precapitalist and archaic forces not to conserve an idealized past but wanted to create it for the first time” (Tsui 2018: 10). Clinton observes how rightists argued that “renaissance does not equal resuscitating the past” (復興非復古) (Clinton 2017: 67). Rather, Confucianism would serve as a constant site of cultural identification as the nation hurtled forward in an industrial age (194). By also recognizing the unambiguous lines of difference right-wing leaders drew between themselves and the Communists, Clinton and Tsui challenge popular frameworks of nationalism and state-building, which can work to collapse the distinctions between leftist and rightist politics in the writing of modern Chinese history (Tsui 2018: 4, 8-9, 29). There were certainly commonalities dating back to the United Front, including Leninist party organization. Yet, the GMD embraced decidedly conservative socioeconomic goals that, in Tsui’s words, decoupled national and social revolution (8, 31). Ridiculing the call for class struggle and the elimination of private property as naïve and foreign, the GMD envisioned instead state management of the economy, corporatist social relations, a self-disciplined population, and a moral order distinct from the West—all for the sake of the nation, the only legitimate organizing principle of social life (Tsui 2018: 3). According to Clinton, fascism promoted dramatic change in one direction and precluded it in others, appealing to a strong centralized state that could introduce capitalist forms of production throughout the country while violently crushing egalitarian and internationalist movements (Clinton 2017: 24-25). A striking example of how rightists presented themselves as anticonservative revolutionaries is their use of modern technology and modernist aesthetics, which Clinton examines in depth in her book. In chapter 1, she argues that the technocratic CC Clique and the militarist Blue Shirts, long considered rival factions within the GMD, converged in their desire for a strong state to impose hierarchy, efficiency, and discipline onto the nation (30). In their view, state management would extend into the cultural realm, which should be treated in the same manner as natural resources and factories (44, 66). Because state censorship had a limited reach, however, rightists had to compete with liberals and leftists in publishing, radio, and film, and attempted to define modernist developments, such as art deco, with their own messages of national rejuvenation and rationalization. Consequently, Clinton argues, “no single party or organization successfully monopolized a particular aesthetic or effectively fused it to their own political program” (59-60). The next two chapters explain how rightists regarded Confucianism as a necessary basis for industrial development and Communism as an existential threat to the nation. In chapter 2, Clinton discusses how rightists inverted the May Fourth argument that Confucianism was incompatible with industrial modernity. In Confucianism, they found doctrines already invested in the maintenance of state power and social order, and they recast their significance for an era of industrialization as a national spirit that could bind different classes together and ward off foreign influence, including communism (88-89, 97, 143). For Clinton, rightists pioneered the argument, later put forward by proponents of Confucian capitalism, that so-called Asian values could steer industrialization in more harmonious, class-cooperative directions (198-199). While Sun Yat-sen trusted that Fordist organization had rendered class struggle historically obsolete, his followers took Communism to be at odds with primordial national culture, productivity, and anti-imperialist struggle (73, 75, 126). Chapter 3 turns to the moralizing and dehumanizing language that counterinsurgency campaigns used to figure communists as monstrous, sexually deviant bandits who deracinated China through their foreign ideas, upended the normative social order, and needed to be eradicated through terror (110-111). Once amnesty policies were formalized, repentance camps (反省院) claimed to reform Communists into productive and morally upright members of an orderly Confucian society (103, 124). 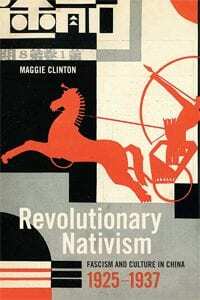 In chapter 4, Clinton presents a fresh interpretation on the New Life movement, arguing that the GMD’s exhortations concerning public decorum, health, and clothing amounted to an instance of high modernism aiming to fix everyday life and foreclose any deviation from the project of national revival. Fascists sought to discipline routine ideas and behavior, both in the workplace and beyond, according to Taylorist principles, with the goal of creating a smooth functioning social machine fit for state-led industrialization and total war (137, 147). While setting society into motion, they also wanted to assign people into legible and stable categories, fearing those aspects of modern life, exemplified by the modern girl’s sexuality and leisure, that could not be controlled (130-131, 140, 149-152). The final chapter focuses on how rightists wanted to take advantage of the possibilities made available by new media to present Chinese audiences with inspiring representations of their nation’s past, present, and future that were absent in Hollywood and leftist productions (172-173). Rejecting art for art’s sake, proponents of nationalist literature and arts (民族文藝) believed that realism’s straightforward depictions of human life would work as well as romanticism to affectively bind the nation (170). Rightists violently attacked critics and detractors, including the Five Martyrs of the League of Left-wing Writers 左聯五烈士, Ding Ling 丁玲, and the League for Civil Rights 中國民權保障同盟, whose work did not seem to reflect the national spirit. Clinton explains how terror against enemies was, in fact, a logical outgrowth of their modernist celebration of efficiency and efficacy (181-182). In his book, Brian Tsui expands discussion of nationalism and aesthetics at the core of the conservative revolution, moving from the United Front into the wartime period. Following an introductory chapter, Tsui explains how central the question of “how a late industrializing, semi-colonized society could not only recover its political sovereignty from imperialism but also overcome social and cultural dislocations brought about by uneven capitalist development” was to the dissolution of the GMD-CCP alliance (Tsui 2018: 29-30). Often well-versed in radicalism because of their leftist origins, rightists rejected historical materialism for its single-minded focus on material life (39). Tsui revisits Dai Jitao’s controversial 1925 tracts, Philosophical Foundations of Sun Yat-senism (孫文主義之哲學的基礎) and China’s National Revolution and the Guomindang (國民革命與中國國民黨), famous for arguing Sun Yat-senism was rooted in Confucian political philosophy and accusing the Communists of being parasites. In an important reading, he shows how Dai’s texts depoliticized the principle of people’s livelihood (民生), which Sun had previously equated with socialism and communism, by substituting aesthetic uplift for its capacity to challenge the existing socioeconomic order (40-42). For Tsui, Dai’s emphasis on spiritual cultivation (育) and enjoyment (樂) signaled an individualist turn in the GMD’s political practice, in which politics now became tantamount to taming one’s self rather than changing social relations (15-16). The next two chapters support this claim of aestheticized politics with examples of mass organizations set up by the GMD to cultivate mass consent and discourage class-based political consciousness. Chapter 3 addresses how rightists suspected young people of being susceptible to radical politics because of their presumed naivety and emotional instability. To steer youthful élan away from activism against social hierarchies, they adapted the scouting movement, a product of British imperialism, for the training of skilled, strong, and cheerful nationalist subjects (70, 76, 86-87). Focusing on the wartime National Spiritual Mobilization Campaign, chapter 4 argues that the Second Sino-Japanese War accentuated the conservative revolution because the state of emergency called for selfless devotion to the nation, military uniformity, and clockwork efficiency (119, 127, 142). Even with its violence, China’s first total war was viewed in terms of its regenerative potential, a boost to the country’s modernization process and the further Taylorization of quotidian life (126, 130-131). For Tsui, the preoccupation with individual habits in scouting and spiritual mobilization was consistent with the New Life movement (128). The final two chapters of the book show provocatively how the vision of a cooperative, hierarchical fraternity centered on the nation resonated beyond right-wing circles in China to converge with other political agendas. Earlier in the book, Tsui makes clear that affinities existed between fascists and anarchists because of their irreconcilability with communist theory and practice (52). Through the case of the Beijing School (京派) writer Zhu Guangqian 朱光潛, who went on to become a contributor to the party organ Central Weekly (中央週刊), chapter 5 considers how the GMD reached out to liberals at the same time that it censored left-wing writers. According to Tsui, liberal elites became politically aligned with the GMD because they too were averse to student and worker protests, trusting that the nation’s revival rested on transforming restive masses into respectable individuals with sober reason and good taste through education (174-175, 186, 193). In chapter 6, Tsui recounts how Pan-Asianist solidarity with India emerged out of a common critique of Western colonialism and materialism. Rabindranath Tagore’s lecture tours in China popularized an interwar discourse of Eastern spirituality that would eventually inspire Buddhist scholar Tan Yunshan 譚雲山. Tan established the Sinological institute Cheena Bhavana at Tagore’s college Visva Bharati and served as an important intermediary between the GMD and the Indian National Congress during the war. The alliance between the two nationalist movements dissolved once the GMD participated in a postwar system that continued to be dominated by the West and Jawaharlal Nehru became a leader of Third World nonalignment (220, 228). Overall, these well-written, meticulously researched, and persuasively argued studies offer us a critical reexamination of interwar and wartime China, often romanticized these days as periods of heroic nationalist struggle, technological advances, and openness. By shining the spotlight on ideology, Clinton and Tsui demonstrate that close readings of Republican-era sources can quickly reveal political positions and aesthetic sensibilities that buttressed right-wing agendas. With the most rigorous historical and theoretical analyses of Chinese fascism to date, these books should be required reading for scholars and students of Nationalist China and welcomed by anyone interested in right-wing movements, nationalism, and aestheticized politics in the past and present. The recognition of fascism as a constitutive moment within the history of Chinese nationalism, in contrast to its conventional rendering as an external object of antagonism or imitation, should generate studies on and critiques of the lasting impact of radical right theories and concepts of the nation, race, culture, and civilization, including their redeployment in our present political conjuncture.